Molly’s battled a few issues that have affected her hormones, caused weight gain and left her feeling generally unhappy. Her uncontrolled weight gain damaged her self-confidence. She found Dr. Payam Kerendian as a referral in 2011. 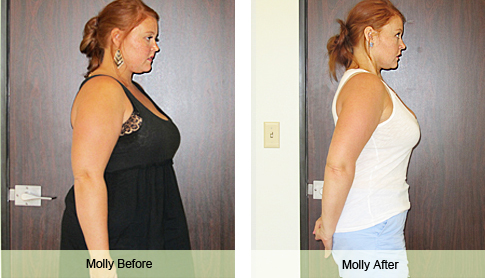 At that point a personalized and comprehensive plan of care was established for Molly to put her on track for a 10% body fat weight loss and to improve her medical issues for better health and wellness, and even more important to prevent further weight gain and medical problems by maintenance care. Molly has lost 13% of her body fat. But her main success story is not the weight loss but the quality of life which has been improved, including improvements in her personal and work relations. She also feels better in her body as her health has been optimized in the two years she has worked with Delight Medical Center. She has been well maintained with her weight issues with the use of Trimtropics and other supplements. She also sees Dr. Kerendian as her primary medical care physician.